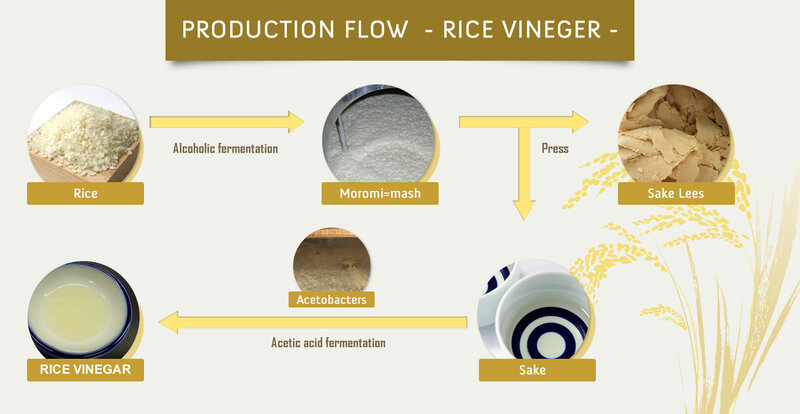 ABOUT JAPANESE VINEGAR | YOKOI'S VINEGAR BREWING CO.,LTD. The process of preparing Edo-mae style sushi begins from searching for the vinegar that matches the rice. Both Rice Vinegar and Red Vinegar (Sake lees vinegar) are made from rice so it matches rice perfectly. Komezu Rice Vinegar: Mild flavor matching all types of sushi. Light color. 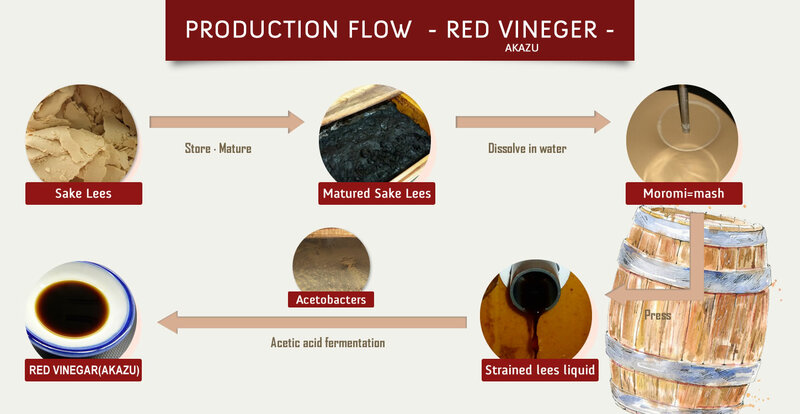 Akazu Red Vinegar: Rich with robust umami and savory flavor. Adds color to rice. During the Edo period, Komezu vinegar made from rice was a luxury, so for the common folks it was not an easy access. It was in this environment the method of making vinegar from the “sake lees”, a by-product of making sake, was conceived and the “Akazu Red Vinegar” was born. The Red Vinegar quickly became popular among the public and the red sushi rice using red vinegar became the standard for sushi at the time. The only vinegar brewery house in Tokyo produces the “Akazu Red Vinegar”, a preferred vinegar by the sushi chefs of the Edo-mae style sushi artistry. 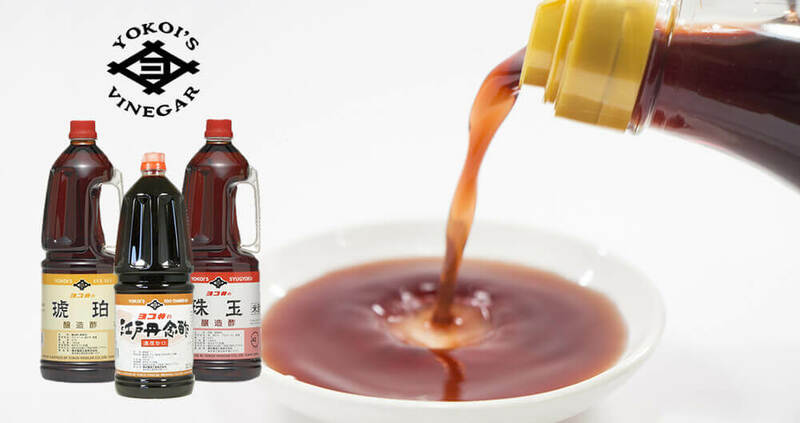 Our Akazu Red Vinegar uses highly selected and fine quality sake lees collected from sake breweries in Japan and seal-stored after making sure it is air-tight. By letting it rest for a long time in this state to mature the umami components, the sugar and amino acid in the sake lees trigger the color to change from the initial milky white to red miso like brown, and the aroma becomes similar to Chinese Shaoxing rice wine. Using this matured sake lees packed with umami components as its only ingredient, yeast is added for alcoholic fermentation and then acetobacter is used over time to cause acetic acid fermentation. Furthermore, by aging and carefully preparing it, red vinegar with rich umami flavor and robust fragrance is born. It could be said that the red color unique to the red vinegar is the color of umami flavor that dedicated “time” has created. How to make authentic sushi rice. 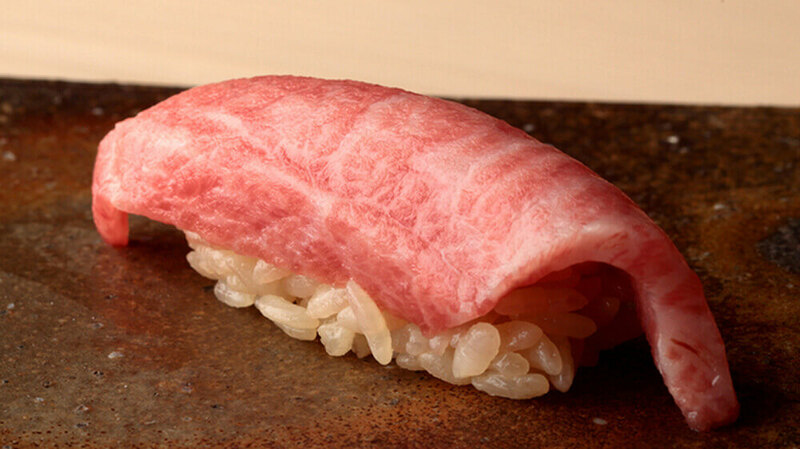 It is well known in the craft of sushi that the most important part is the vinegared rice. You can have the freshest and most delicious seafood, but if you don’t apply it with the well-prepared vinegared rice, the ingredients will not be optimized. This is the reason why especially the first-class sushi chefs are particular about their rice and vinegar. Empty the rice into a rice board while it is still hot. 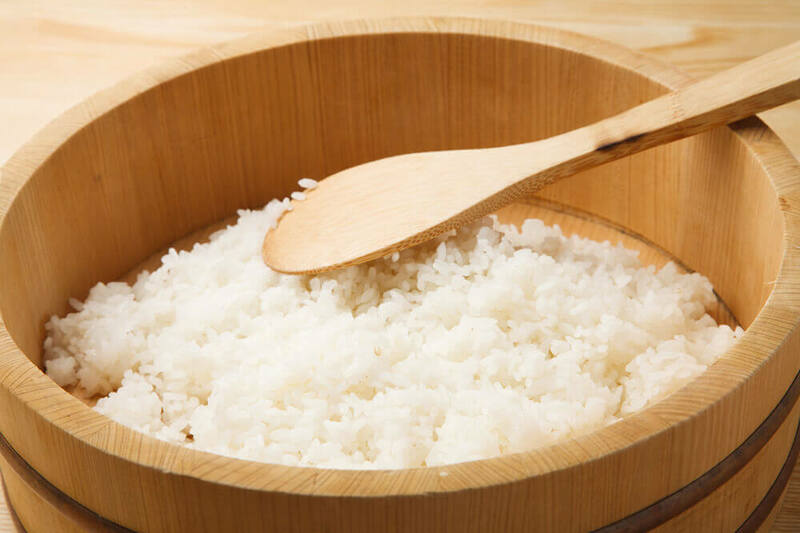 Pour the sushi-vinegar onto the rice paddle placed above the rice to spread the vinegar evenly over rice. Now use the paddle vertically and quickly loosen the rice in a cutting like motion for mixing it but maintain the shape of rice grain, not squishing it. Spread the rice across the rice board evenly while using a hand fan. The air-flow applied by the fan will encapsulate the absorbed vinegar within the rice grain and it will add a nice glow to the rice. Lastly, using the paddle, flip the rice on the board to disperse heat on the other side.